This clock was made using 1X6 pine tongue and groove planks and glued together. To cut the circle, I had to make a circle router jig with radius adjustments at every inch. 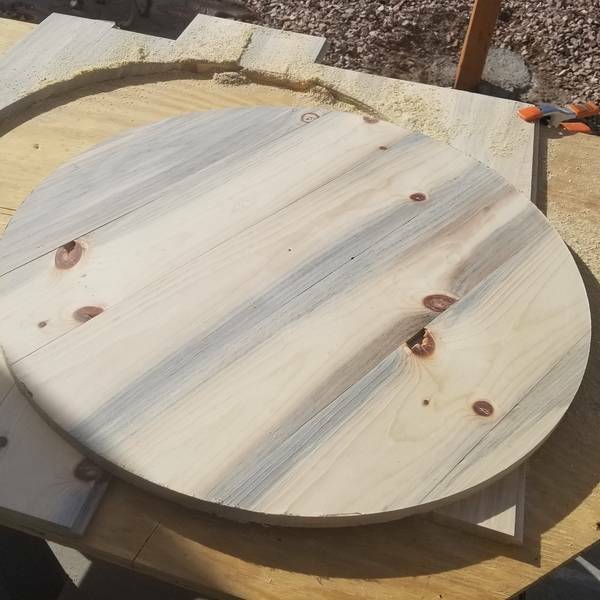 I made this clock to be 28” in diameter and set the circle jig at 14” radius. It took about 3-4 passes with the router to cut the circle, going deeper on every pass. 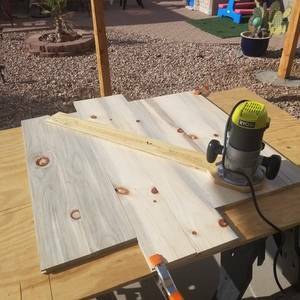 The planks were smooth on one side and had a bevel on the other side. I decided to have the bevels be the face of the clock to give it a unique look. I used a brad nailer to attach two planks to the back of the clock for added support and as an attachment point to a wall. 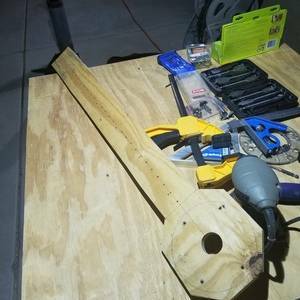 I routed out a square in the back to accommodate the motor. 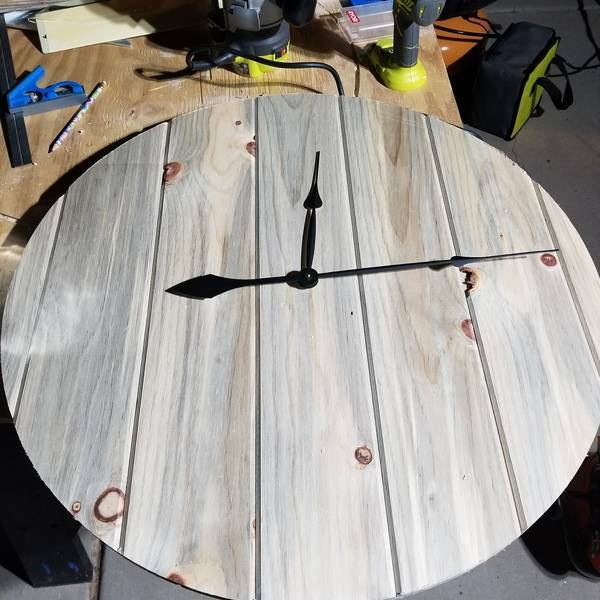 My wife sanded, painted and stained the clock. The clock dials were easy to install. However the numerals were tedious and finicky. In the end, it turned out better than our expectations. 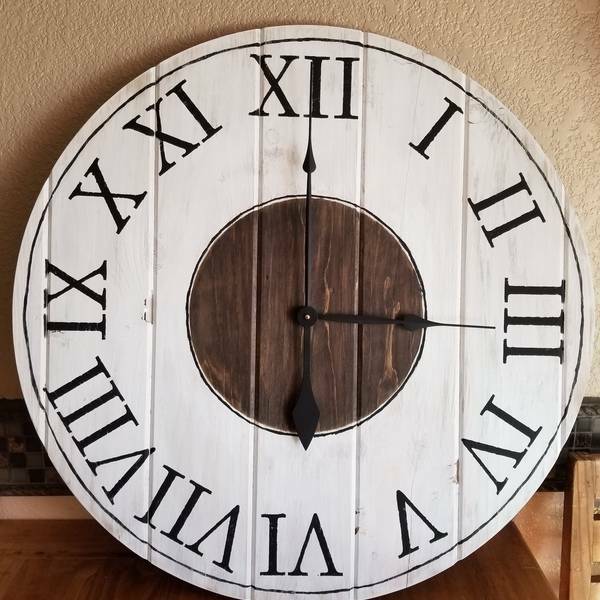 Beautiful job on this clock! We love how it turned out! What was your favorite part of this build? 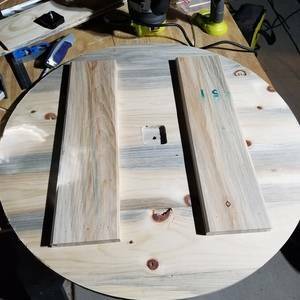 This was my first "real" project and learning by trial and error was fun!